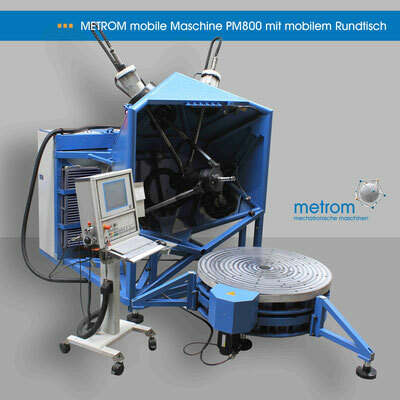 Our machine concepts differ depending on the workspace, rotary table, weight, and dimensions. 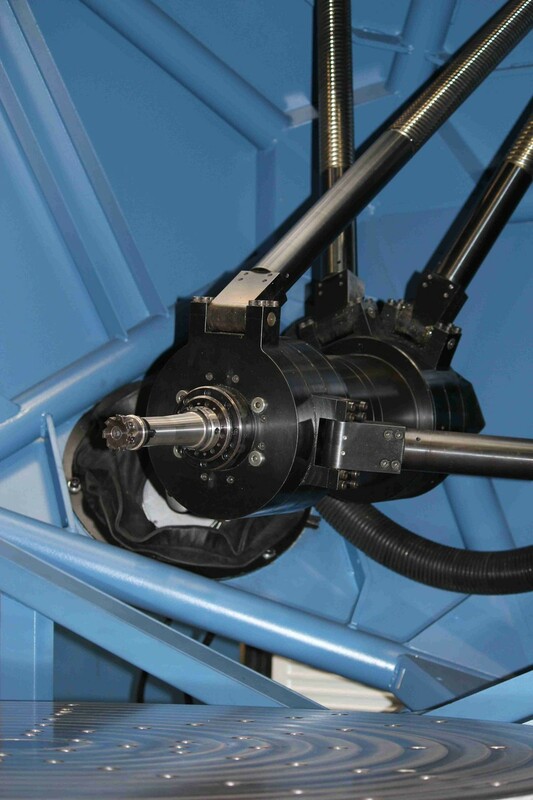 The main spindles we offer, as well as the quantity and position of the tool changer, can be freely combined with the various machine concepts depending on the application. 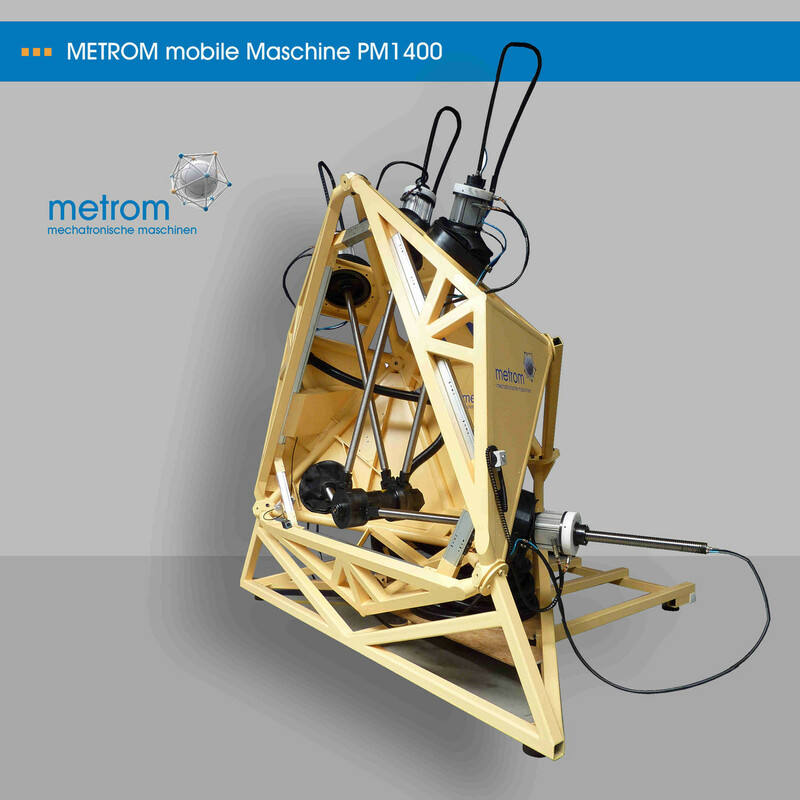 This ensures that the machine you request is specifically tailored to your requirements. Do you have components that need repairing or machining in various parts of the world? Do you want to avoid the expensive transportation of parts to your company site? If the answer to both of these questions is yes, then our mobile machine is the right solution for you. The mobile machine is designed for easy transport by truck, plane, etc., followed by quick setup at the place of use. 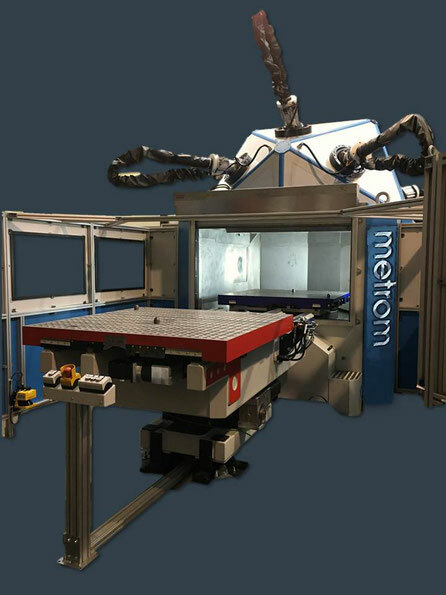 Combination of the properties of robots with those of a machine tool (milling, laser processing, turning, grinding) for mobile machining, re-working, or repair. We also offer machine maintenance and machining of your components on-site, performed by our experienced team of skilled workers and engineers. where we provide a comprehensive introduction to our innovations!